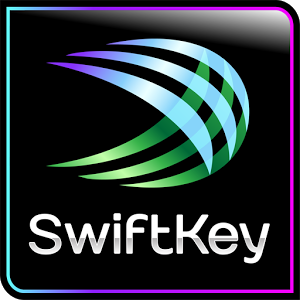 The SwiftKey team just rolled out a massive update to their popular Android keyboard, introducing various layouts suitable for a wide range of screen sizes. 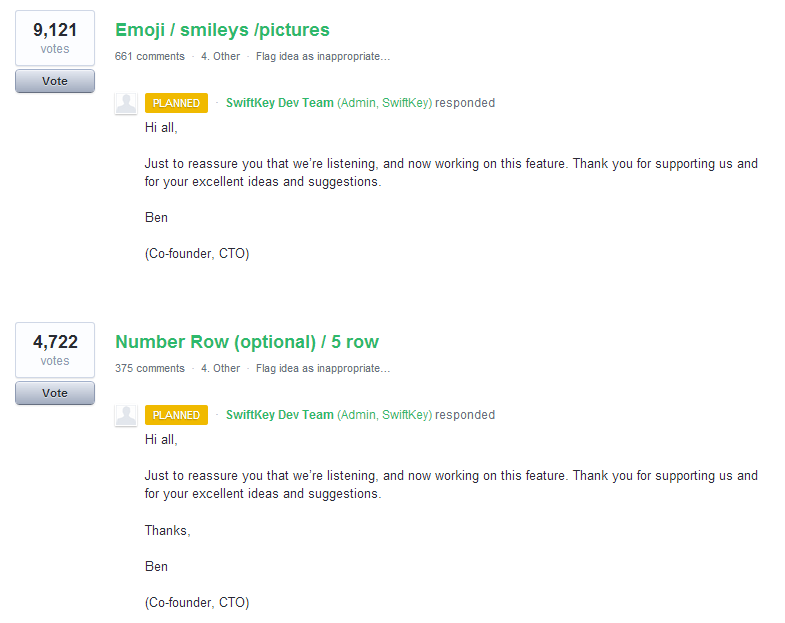 Now they're moving on to tackle other long-awaited, user-requested features. 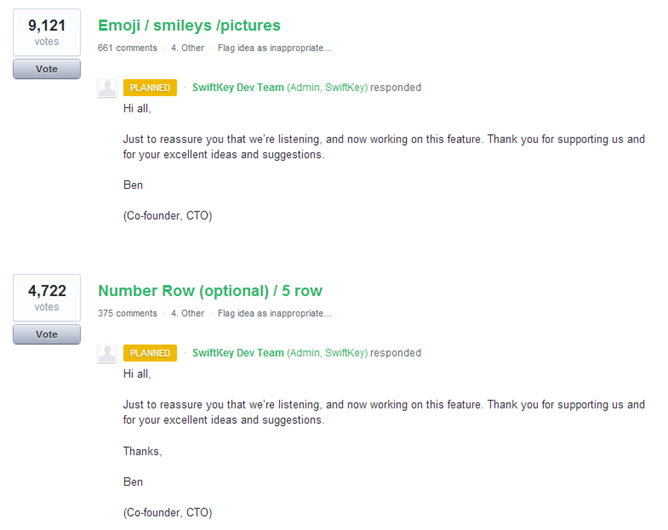 Two responses on the app's idea suggestion page show that the developers are currently working on adding support for emojis and the ability to enable a dedicated number row. Neither of these features are particularly groundbreaking in the grand scheme of things, but that is precisely what makes the demand for them so strong.